Press, Video → Stacy Sakai interviewed by Ioulia Reynolds for the Art Collective Network! On April 9, 2013, I was involved in an art show organized by Ioulia for her Creative Art Management company. The show was at the beautiful Waterfall Building in Vancouver, BC. During the evening, a videographer captured parts of the event, including Ioulia’s interviews with each of the artists. You can view the video at Ioulia’s Art Collective Network on YouTube. The SR Auto Group opening gala on March 9th was a fabulous event! Very elegant, and a lot of fun. I already posted pictures from that night, and below is a link to the post on the SR Auto Group website with their video. Enjoy! On Wednesday, January 30th, I will be featured on ‘go! Vancouver‘ on Shaw TV! I was filmed in my studio discussing my artwork in general, and explaining the technique and meaning for some specific paintings. To check out my studio, and hear about my art, please tune in! The episode will air at 5pm, 7pm, and 11pm. UPDATE: The episode is online, and can be viewed on the go! 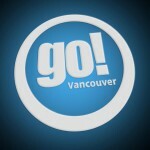 Vancouver TV show website. Press, Video → OMNI TV Interview on TREADZ Tire Art! Lisa Wu, Reporter/Anchor for OMNI Television, did an interview on our TREADZ Tire Art during the Luxury & Supercar Weekend where we were exhibiting the paintings. The interview aired tonight, with footage of each of the paintings, Raymond Chow discussing the series, and me and Raymond talking! You can check it out here, on OMNI TV News – Mandarin, and please allow a few seconds for it to load. My Interspace painting is part of my current series about our connection to the Universe, and everything in it. Creating ‘Interspace’ on a stage was very exciting! The freedom of expression was amazing! I had a photographer capture the experience, and the photos have been made into a video. The video incorporates our collaboration of painting, photography, music, and video design. I feel so honoured to have such an incredible team of artists on this video of my painting performance!!! Photography by Dave Dutton, music by Barry Ostash of STAVOC and Steven Kitchen of Dephorm/Hologram, and video production by STAVOC. The video can be viewed here on YouTube. 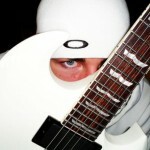 Below are some photographs from the photoshoot. All photos are credit to Dave Dutton. Pictures, Video → New Painting Featured in STAVOC music video! My latest painting “Birdsong” is featured in a video with music by STAVOC and Dephorm, aka Steven Kitchen. As Barry Ostash of STAVOC says, there is ‘Unity Through Music.’ This video certainly demonstrates that, with us all working together despite Steven Kitchen being across the ocean in Liverpool, UK. I love how people can be brought together through the universal language of art and music! You can check out the video on YouTube. Enjoy! Title page of video featuring my painting, with the STAVOC logo. 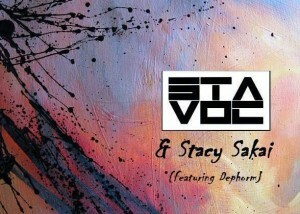 Pictures, Video → Stacy Sakai teams up with STAVOC on a music video! Barry Ostash, singer, songwriter and guitarist for STAVOC, has created a music video featuring my Antennae painting! The music video is for the song “A Bond Has Been Broken,” by STAVOC in collaboration with Steven Kitchen of Hologram, who is located in Liverpool, UK. You can view the music video here on YouTube. 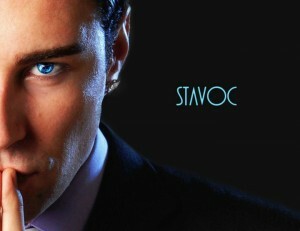 Watch for more in this series of music/art videos by STAVOC! Events, Video → Link to video presented at Spaced Out! For the opening of my art show at grace-gallery in September 2009, I wanted to show people a little bit about the telescopes that bring us images of space objects. With the help of Craig Breckenridge, I put together a selection of images, animations and quotes, and made a video presentation. Craig designs and builds telescopes, and was one of the designers of the Thirty Meter Telescope. When it is completed, it will be the largest telescope on the planet, situated on Mauna Kea. Craig is also very knowledgeable about astronomy, and was very supportive and helpful with my show. The quotes in the video are ones that I find inspiring and thought-provoking. The images are of the Hubble Space Telescope, and the design of the Thirty Meter Telescope. Also included are images of Pleiades and the Hubble Ultra Deep Field, taken by the Hubble Space Telescope. The Star Trails image was taken by Craig Breckenridge. It is centered on Polaris, the North Star. The exposure on it is about four hours, and the spiral effect is due to the movement of the earth. In the original image, two satellite trails and one meteor are visible. The animations of TMT give a high level view of how it works, and give good perspective on how large it is. There are also animations of Antennae, showing how the two galaxies collide, Monocerotis, and Orion. The animation of Orion shows what it would be like if we could fly through it. I have painted all three of these. At my art show, we had the video looping as a backdrop, while a selection of songs played throughout the evening. Later, with permission, we added the song “Love Breath” from the Chakra Trancen-dance cd. I find the music on that cd so inspiring and uplifting. I would listen to it again and again while I painted galaxies and nebulae for my Stellar Drift and Spaced Out series. You can view the video here on YouTube.